Crest the chihuahua did not have a bright future. 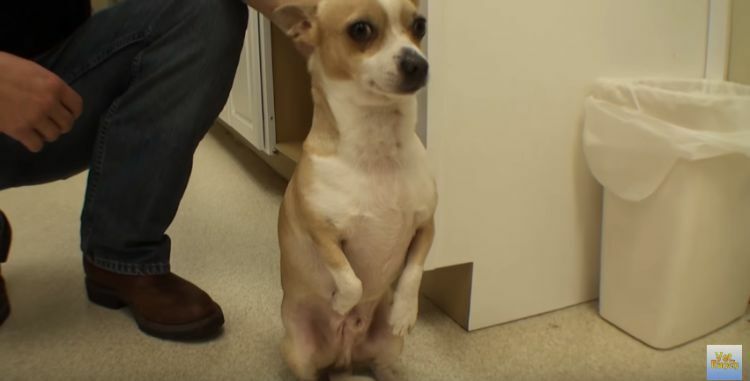 He was stuck in an overcrowded, loud animal shelter. 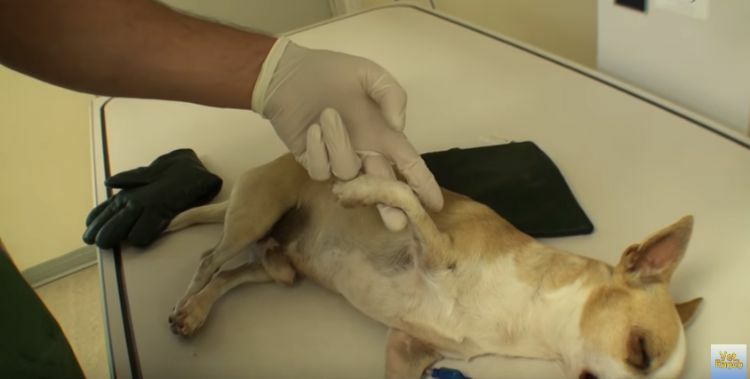 He suffered from a fractured jaw and was unable to use his front legs. 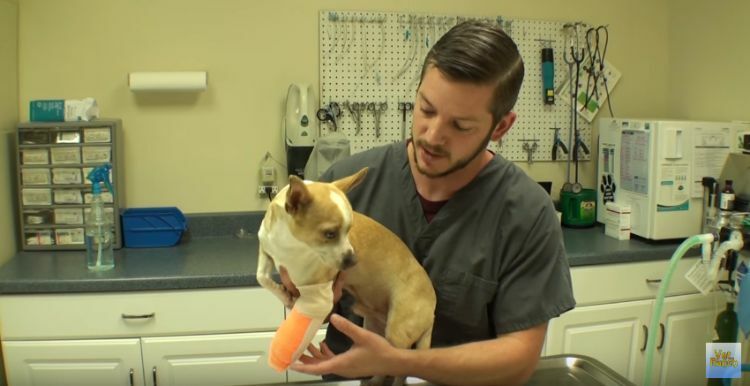 Crest was scheduled to be euthanized until one heroic veterinarian stepped up and saved him. Dr. Matt Carriker of Vet Ranch rescued Crest from the shelter. He had unknown issues with his front legs - his right front leg couldn’t support any weight and was weaker than his left. His left leg looked better but it was still injured and painful for him to walk on. It looked like Crest would never walk normal again. But Dr. Matt decided he wouldn’t give up on Crest. He was going to do everything he could to help him live a pain-free, happy life. Dr. Matt was determined to find out what was wrong with Crest. He performed x-rays on him and found that is left shoulder and elbow were fractured from previous injuries and did not heal properly. Crest also suffered a fractured jaw from an unknown past injury – likely from around the same time as his leg injuries. 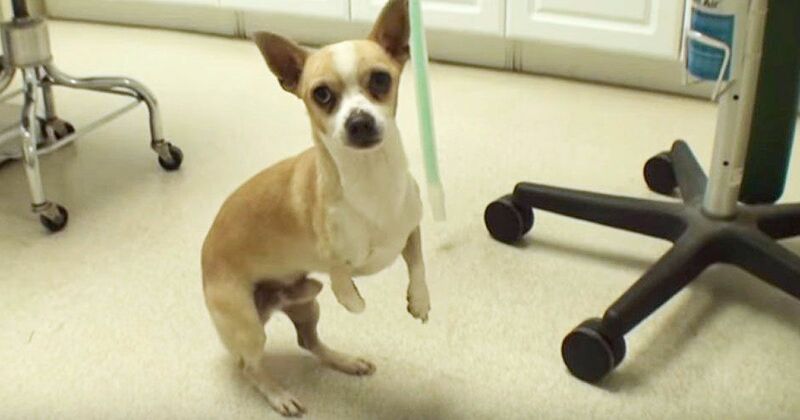 Crest was able to walk on his hind legs, like a kangaroo, but Dr. Matt knew he had to at least try and help him walk again. He decided to work on Crest’s jaw first, though. Under surgical anesthesia, Dr. Matt wired Crest’s jaw using his teeth as stabilizers. After that, he worked on the leg. While there was nothing to be done about Crest's right leg, his left leg could possibly heal. 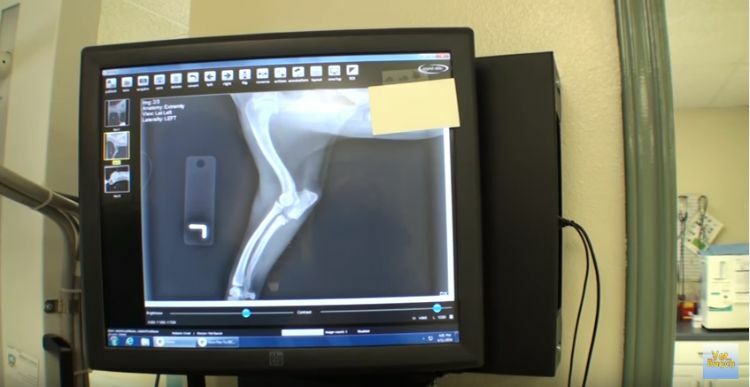 An orthopedic surgeon advised Dr. Matt to try and splint Crest’s left front leg. Unfortunately, even after several months and many split changes later, Crest’s leg did not improve much. But, since Crest was so used to using his back legs as his primary form of walking, he didn't even seem to mind. One good thing? Crest's jaw fully healed! Though Crest will never be able to walk normal again, that hasn’t stopped him from living a great life – thanks to Dr. Matt and the staff at Vet Ranch. And guess what? 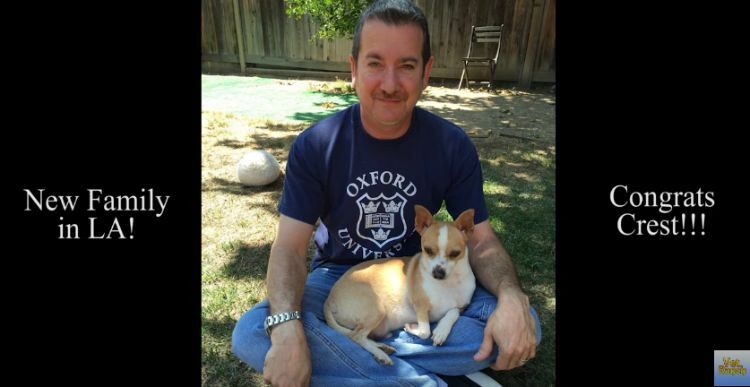 Crest has since been adopted and is living his new life in Los Angeles, CA! Crest would not have had a chance at a future if it hadn't been for Dr. Matt and the staff at Vet Ranch. Just because his front legs don’t work the same as other dogs, he still deserves a happy, healthy life full of love and lots of kisses. And because of Dr. Matt, that’s just what he’s getting.